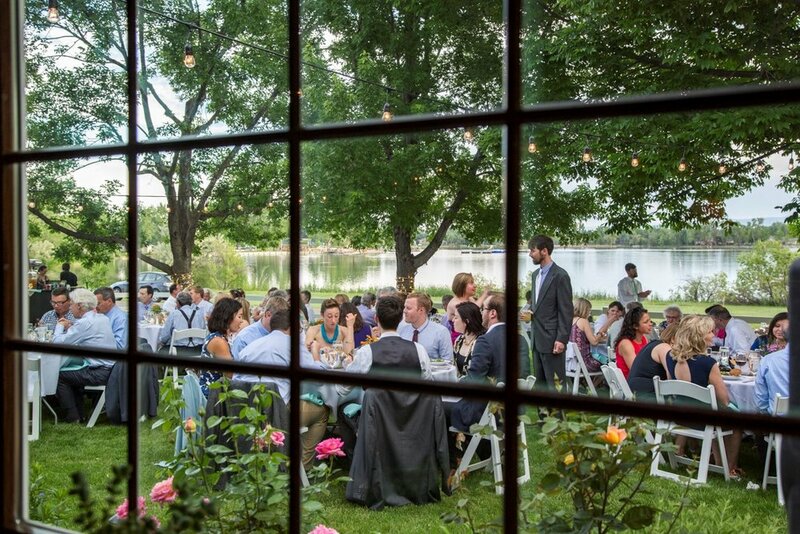 Who doesn’t love a garden party wedding next to a small lake. 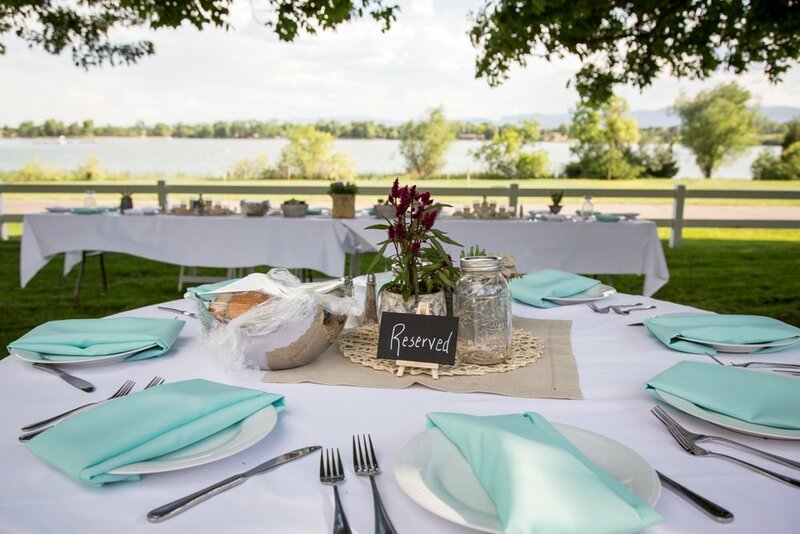 A few summers ago, Blue Linden had the pleasure of planning a sweet, elegant out door wedding at the bride’s childhood home in Bow Mar Colorado. It was a small wedding, with immediate family and close friends. The bride looked stunning in her soft, romantic blush gown. The accent color was mint with just a pop of coral and the mother of the bride created the centerpiece with succulents, mini lights in mason jars and candles. The view was beautiful with a warm summer breeze blowing and the smell of newly fallen rain hanging in the air. Our favorite part of the wedding was the non-traditional bridal flowers. Rather than each bridesmaid carrying a bouquet, every attendant (yes even the guys) carried down a single flower and placed it in a vase. Both mom’s carried a flower and added it to the vase. Then the bride and groom also placed a single flower in the vase and described that flower represented their friends and family. They all played a roll in bringing the couple together in some way and the vase of flowers signified that they were all bound as one family. It was very sentimental and sweet. The bridal party’s attire was elegant yet whimsical with hues of grey and mint. A good friend of the bride used reclaimed wood to make signs which further added to the overall warmth and welcoming vibe that the couple exuded. This was a truly lovely wedding filled with love and laughter! The evening was filled with sentimental toasts, a piñata filled with candy and mini alcohol bottles, and dancing. 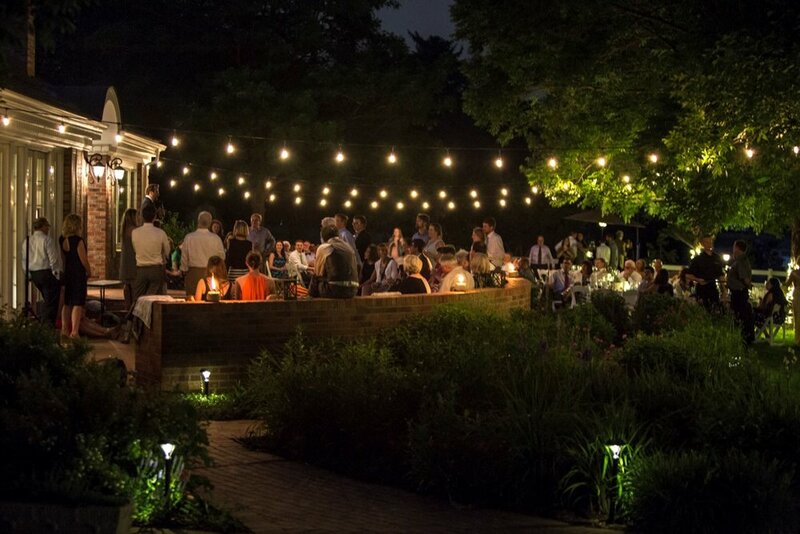 Blue Linden Weddings & Events would like to give a special thanks to Jay Dash Photography for providing these great photos.